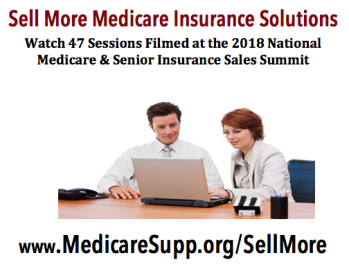 Some 45 sessions filmed at the just concluded 2018 National Medicare Supplement and senior insurance Sales Summit are now available from the American Association for Medicare Supplement Insurance. “We film sessions and make them available online so that insurance professionals who are unable to attend the event can benefit,” shares Jesse Slome, director of the organization. The national Summit took place June 12, 2018 in St. Louis with hundreds of insurance agents and financial professionals attending. Four tracks of sessions were filmed according to Slome. They include sessions focused on Medicare Supplement (or Medigap) insurance, Medicare Advantage and Prescription Drug Plans, senior insurance products and lead generation and social media techniques. Most sessions are between 20 and 30 minutes. The videos can be accessed and watched on any device with Internet access. “It’s actually better than being in the room because you get to see the speaker alongside their presentations but you can pause, re-watch key points or start and stop at your leisure,” Slome advises. 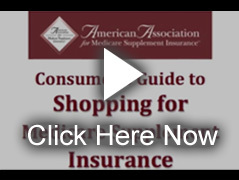 To see the titles and lengths of the various videos available for viewing, visit the Association’s website at www.medicaresupp.org/sellmore.